In the previous one we discussed the “That’s it” ending and how not effective it is. Now I want us to discuss one more before we jump into a series of 10 posts related to presentation design only. Mistake: Too much noise coming out from the microphone. Why is this a problem: It’s distracting and annoying for your audience. Solution: Test your mic well in advance before your session. Each and every microphone is different and the same applies for the rooms you are going to be speaking at. Make sure that it’s not too close or too far away. Let the admin of the room go at the back of it and check if you can be easily heard. More info (in Bulgarian) in this #ask356labs episode. Here, now you are 40(!) steps closer to becoming a great trainer. ? Have any comment or just want to add even more to the topic? Please do so in the comments! Worry no more! Microsoft just rolled out a very useful improvement, which makes this task easy so no more you would be going on stage opening some strange dialog windows trying to figure out why the video in your slides does not have sound. 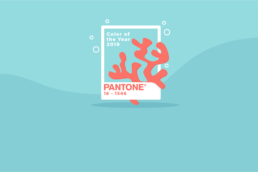 Living Coral was named as PANTONE Color of the Year. If you wonder what this is and why is it so important that people mention it, check out our article. Kamen will give us his insights on how this presentation changed the sales approach of his team. He will also share with us the ways in which he prepares his presentations, how important they are for him and many more since we’ve prepared some cool questions for him. In case you haven’t noticed, you can now turn your Windows 10 computer into a Wi-Fi Hotspot by sharing its internet connection! That could be extremely hand in some presentation situations! 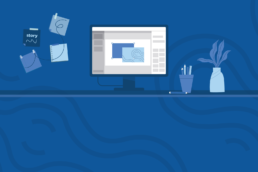 In Prezi, you can insert images to a topic, subtopic, or directly to the presentation canvas. You can also change the background and many more. Learn how. 356labs will be speaking at the IT Camp 2016 Conference. It is one of the major community technology conferences in Romania. We've picked the top three places on the web where you can get an incredible number of free fonts that will transform your presentation! IT presentations can actually be well designed and simple. In this article we talked about the importance of good design and a lot more! Quick Trick: Fonts in a Slide Deck? Have you ever wanted to quickly see what type of fonts have been used in a particular slide deck? It's easy! Just follow our steps.